This morning Pope Francis announced his intention to visit Japan in 2019 as he greeted members of the Tensho Kenoho Shisetsu Kenshokai Association, a group dedicated to the promotion of culture and solidarity between countries. It will be his fourth visit to Asia, the continent where he foresees growth for Christianity and the Catholic Church in the 21st century. He visited Korea in 2014, Sri Lanka and the Philippines in 2015 and Myanamar and Bangladesh in 2017. He will be the second pope to visit the country. John Paul II went there in February 1981. It will be the pope’s fourth visit to Asia, the continent where he foresees growth for the Catholic Church in the 21st century. The Vatican’s secretary for relations with states, Archbishop Paul Gallagher, went on an official weeklong visit to Japan last year and was informed of the government’s and the Catholic hierarchy’s desire to have the pope visit. Christians make up about 1 percent of the Japanese population. Catholics total just under one million, and only some 450,000 of these are native Japanese—the rest are migrant workers. Pope Francis brought great joy to the Catholic community in Japan and indeed to the Japanese people earlier this year when he created a new Japanese cardinal, Archbishop Thomas Aquinas Manyo of Osaka. He is the sixth Japanese cardinal in the country’s history. 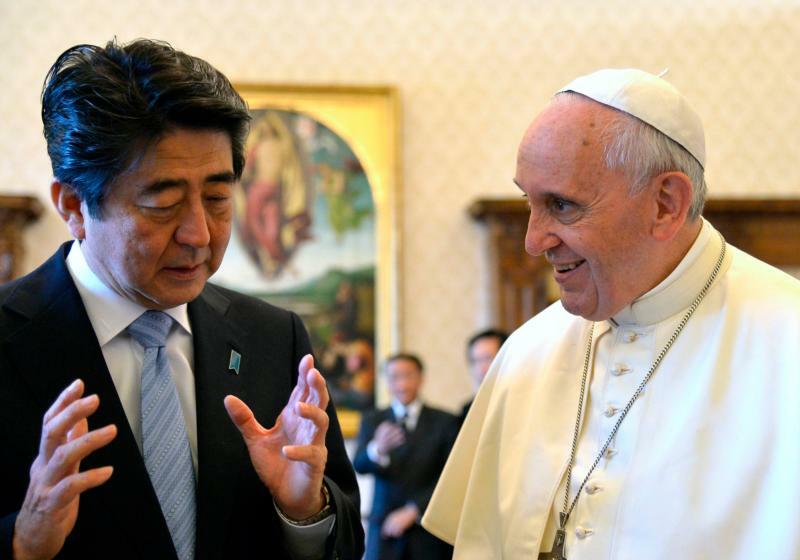 The pope is highly esteemed in Japan care for the poor and strong stance on nuclear arms. It will be Francis’ second visit to Japan: He first went there as a Jesuit in the mid-1980s to visit with Jesuit priests from Argentina who were working in the country. Francis has long been interested in Japan and is well aware of the role played by the Jesuits in introducing Christianity to this country in the 16th century. He felt the desire to go to Japan as a Jesuit missionary after meeting Pedro Arrupe, S.J., superior general of the Society of Jesus, at a conference in Cordoba, Argentina, in the late 1960s. Father Arrupe had worked as a missionary in Japan for many years and survived the U.S. atomic bombing of Hiroshima in 1945. But the Jesuit superior turned down his request for health reasons: Some years earlier Bergoglio had undergone surgery to remove the top lobe of one of his lungs. He asked them to convey to “your beloved [Japanese] people and your great country the friendship of the pope of Rome and the esteem of the whole Catholic Church.” Then, speaking off the cuff in Spanish, he told them that “friendships are developed over the course of history” and emphasized that “memory is important” in this regard. He urged them not to forget “the things that culture, the country, the language, religion and social belonging” give to us.